It's a long way from Arizona to Oslo to Tel Aviv, but all three places have been the sites of major blood libels against the right. And a reminder of what to do in these situations. 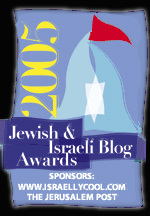 2011 has seen the launch of two major blood libels aimed at the American and European right. The Breivik shootings and the Giffords bullseye. In both cases, the left tried to politicize an unstable man's shooting spree to silence and intimidate the political opposition. But my own experience goes back to the assassination of Prime Minister Rabin in the Kings of Israel Square in Tel Aviv. A blood libel on an epic scale. There are common lessons to be drawn from all these events. Each event played out in three phases. Shock media coverage that splattered the full details everywhere, followed by calls for the right to accept moral responsibility for the killer's actions. In the final phase, the right atones by practicing self-censorship so that, "nothing like this can ever happen again." But let's follow a different path instead. A guide to how to handle these situations. Panic is a natural response to suddenly being accused of being part of a movement of murderers. Non-stop coverage of every gory detail is upsetting even when you aren't being held responsible for it. It's far more upsetting when you are. Self-doubt sets in. "Did my words help cause this?" or "If I had known this was going to happen, I would have been more careful." This too is natural. Sane human beings are built to take responsibility. And we make sense of larger events by connecting them to ourselves. Additionally political activists often have an element of grandiosity in their character, which in such situations works against them. As natural as these responses are, they have to be shut down. In normal events, they are part of the process. It's normal to think, "If I had done this or that differently..." in just about any crisis. But in this event, your emotions are being manipulated. Your self-doubt is the product of a carefully orchestrated media campaign. Its goal is to silence you and then enlist you into a campaign to silence others. It will use your human emotions against you. It will exploit your morality and your sense of responsibility, your grief and your shock, to take away your rights and turn you into a foot soldier in their cause... if you let it. Conservatives are hit harder by the sight of internecine violence than liberals. Most conservatives want a stable and harmonious society. The left doesn't. It is not particularly bothered by the sight of Americans killing Americans, Israelis killing Israelis or Norwegians killing Norwegians. Their revolutionary cause is trans-national and political violence is proof of radical sincerity. But to conservatives, acts of domestic terror are devastating and make them question everything they are working for. The left knows this-- and it knows how to use this. Don't get tricked into participating in a circular firing squad. Remember you are not responsible for an individual's acts of violence. Not unless you encouraged him to act. The media will draw specious connections, which will not hold up for long even to the general public. That's the paradox. 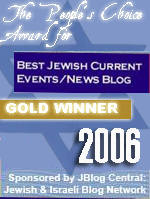 The average Israeli was not convinced that the right killed Rabin. The average American did not believe that Sarah Palin's map or talk radio caused a shooting in Arizona. But some on the right did believe it and and began seeking penance for a crime that no one outside the left believed they were guilty of. Why did some on the right believe what the general public did not? Emotional manipulation. When you're close to an event, your emotions cloud your judgement. The blame seeking propaganda of the left is more effective against the right, in such situations, than against the general public whose emotional involvement diminishes rapidly after the first few days. This is why it's important not to let your emotions be manipulated. In Arizona, Oslo and Tel Aviv-- the responsibility for preventing the attacks fell on law enforcement. And in all three cases, a left-wing authorities blew it. The warning signs were there. The killers had crossed the radar of law enforcement before. They were emotionally unstable and dangerous. But the authorities can't arrest and detain every unstable person out there. It's easier and more profitable to direct the blame at some general culture of extremism. That type of scrutiny does not change the facts. A violent killer is a law enforcement matter. He is not the responsibility of a movement, which has not called for violence. Unless the killer was part of a terrorist cell within a political movement, then he is a lone gunman. It doesn't matter what he read, what manifestos he wrote or what he says at the trial. If he is not directly or indirectly part of a violent organization, then he acted on his own. It was up to law enforcement to stop him. The Nurture blame quest, in which a killer's parents or the books on his shelf or the bullies in his school are accused of being responsible for his actions is media hype. Those may all be factors in his mind, but the only factor that matters is who pulled the trigger. Plenty of killers read J.D. Salinger or the bible. They find hidden messages in Beatles albums. None of that matters. The Islamic terrorist who reads the Koran finds instructions there for waging war against infidels. An instruction set so widely practiced that it has over a thousand years of history and global application behind it. There are few similar examples. It is one of the things that makes Islamic terrorism so unique. And if there were not a constant stream of such attacks being carried out by Muslims, there would be no pattern. Just ugly words. The proof of a theory is in how repeatable its results are. The left may fasten on to Timothy McVeigh or Yigal Amir or Anders Breivik, but the lack of repeatablity stands in sharp contrast to Islamic terrorism where no one needs to wait decades between a terrorist attack or atrocity. There is no collective force in the First World that takes troubled young men and turns them into killers. But the Muslim world has one, it's the Jihad. The Breiviks are still random mutants in the West, but in Islam they are performing a sacred duty. Islamic theology directs and organizes potentially random violence. There is no such directing force in the West. No holy book telling angry young men whom they should be killing. Terrorism is an ecosystem in the Muslim world. It is a random mutation in the modern day West. Where does the blame belong for the actions of a random mutant? The very unpredictability of such a thing testifies to its randomness. Law enforcement is charged with preventing random violence, but the violence happens anyway. Schools get shot up. A sniper goes to the top of a tower. A camp gets turned into a killing field. These are the chaotic fracture zones of a society. But it is not our society that makes killers. We are individualistic. Our spree killers are equally individualistic. The blame begins and ends with them. The left will generally concede that the right did not pull the trigger. Instead they will draw casual connections and then call for moral responsibility. Stalin's purges began with a call for "political and moral responsibility" for Kirov's assassination. The rivers of blood that flowed out of this demand were supported and endorsed by many Western liberals. The call for moral responsibility was repeated by the Israeli left, some of whom were rather fond of Uncle Joe, after the Rabin Assassination. The right was expected to assume moral responsibility for the shooting. And some idiots or pawns did. Moral responsibility emerged again after the Arizona shootings, when Sarah Palin was hectored to accept moral responsibility because of a bullseye map and supposed violent rhetoric. Palin rightly did not. However FOX News apparently did. And may have purged Beck from the channel. Now we're back to the old moral responsibility stomping grounds. Again there are calls for critics of Islam to accept "moral responsibility" for Breivik's actions. Presumably this moral responsibility doesn't carry the 10 year sentence, followed by a firing squad, of the Stalin variety. But it's the same flavor of propaganda. There is no movement less qualified to call for Moral Responsibility than the left, except maybe its Islamst allies. The left's ideology spawned genocide and the mass murder of millions. And today its young wear T-shirts of a Communist mass murderer as a fashion statement. Germans made some limited effort to come to terms with their Nazi past. The Western left has never made such a collective effort. Instead it has swept genocide under the rug and whined that it was the real victim, because a few of its Hollywood members were briefly blacklisted by that mean Senator. The left's promotion of terrorism is so commonplace, it's hardly worth commenting on. Which makes any call for moral responsibility from them laughable. They may dominate the media, but that does not make them the conscience of a nation. Only the conscienceless usurpers of its conscience. Calls for moral responsibility from the left are the opening shots of a show trial. And they should be treated with the disdain and disgust that they deserve. Dismissed as cynical attempts to exploit crime by an ideology that has birthed more than its share of vicious criminals. Netanyahu was blamed for causing the death of Rabin. The orchestrated campaign that swept across Israel ruthlessly demonized him personally and the right collectively. Since then Netanyahu has been elected twice. And right of center parties have become a dominant force, while the old Labor party is on life support. Joe Scarborough claimed that the Arizona shootings finished her political career, And now she's back as a candidate, while the bullseye nonsense has been relegated to the MSNBC archives. And this is what the people who are being targeted now need to remember. This will pass. The left will play this tune as long as possible. Breivik's trial and testimony will help keep it alive. But they already shot their load in the first few days. The story is fading in the United States. It will fade a bit more slowly in Europe. But even the left wing commentators who jumped feverishly on this story in the first few days are starting to admit that it fizzled. Why? Breivik is everything they wanted. A racist killer with a manifesto that quotes most of the people they hate. Terrorism doesn't remain on people's minds unless it is a continuous and ongoing threat. Even the left knows that Breivik was an aberration. That a parade of killers will not come from well off Norwegian families, but is likely to keep on coming out of the families of Muslim immigrants. The left never succeeded in convincing Americans that they were facing a major militia threat. Liberals worked their little hearts out to portray militia terrorism on television and on film. Anti-government extremists were wedged into every column. But the threat failed to materialize. Republicans suffered political setbacks in the 1996 election, but took the White House four years later. By then gun control was on its last legs. In Israel, the same thing happened. The right did not blow up buses or weddings. The Muslim terrorists whom the left had made a deal with did. And despite trading on the Rabin legacy as much as he could, Peres lost. And Netanyahu won. The long game is the ongoing threat. The left will milk Breivik dry, just as they did McVeigh and Amir, and the public will have stopped caring long before then. Instead they will see terrorist attack after attack being plotted and carried out by Muslims. The public often appears gullible. It listens to what the television and radio news programs say. It echoes back tidbits from editorials. But it is not nearly as stupid as the media and the left thinks it is. It is armed with a weapon that ideologues have trouble handling. Common sense. Common sense means that the general public keeps an eye on its own interests. It can be misled, but it can never drift too far from the compass of those interests. It's why the specter of right wing extremism never endures for long. It can be enough to demonize a candidate, or a party, for a time, but in the absence of a compelling threat, it fades away. The left is still obsessed with McCarthy and Nixon. The rest of the country is just glad the USSR fell. And the left will go on being obsessed with Breivik, while the people's minds turn to the threat of Islamic terrorism. And he will finally become another McVeigh, a footnote in a futile argument that the left uses now and again. Finally an obscure reference outside of Norway. A curiosity. Man bites dog. But how much can you focus on a man bites dog story, when the street is filled with rabid hounds? but European Rightist and Leftist groups are basically the same. both are anti-Isarel groups. Rightist are mostly the traditional European Crusader type.The Leftist a more Modern type of the same Crusaders. they just follow Marxim-Socialism instead of the old christian religion of the Crusaders. European Leftists are joining Moslems and even training Moslem children alongside their own to become the modern future Murderers of Jews.They believe that since Moslems are generally illiterate barbarians( this is what they really belive) they can be used for murdering Jews while the Leftists can sit back and pretend to be peace-loving intellectuals. European Rightist terrorists are angry at their Leftists brothers becuase they think its wrong to be friends with Moslem terrorists. They want Leftist to join them instead. Leftists believe they should only kill and hate jews but Rightists believe they should kill both jews and moslems and even thoes of their brothers who have betrayed them by joining moslems. The difference is only about whom they think they should kill! murder has been European crusaders specialty for many centuris! This is very insightful and succinct. Points within 1 & 2 are particularly well articulated, needful, and even therapeutic! The fear of the LORD is the beginning of wisdom. Indeed. I hope Melanie Phillips, Pamela Geller, Robert Spencer, Geert Wilders, Keith Windshuttel, John Howard (former conservative Australian Prime Minister) and every brave voice like them who were quoted by the Madman and accused by the nasties will read this! It will be soooo balsamic. @ anonymous - You claim that the European rightest groups want to kill Muslims and Jews and are mad at the leftist groups for aligning themselves with Muslims. Not entirely true - I recently watched a program called Ever Again - narrated by Kevin Costner. It's about the rise of anti-semitism in Europe. Amazingly, they did not try to white wash the violent anti-semitism of the Muslim immigrants. They spent a considerable amount of time dealing with the far right groups who despise Jews, revere Hitler and are in bed, so to speak, with the Muslim extremists. Several far right skin heads are so enamoured with Islam's message of hatred that they have converted. As Daniel said, you cannot conflate the far right groups. It's interesting too that before I read this article and the comments, I watched a video report about the call for banning far right groups in Norway. One man being interviewed stated that "like Breivik most far right groups are pro-Israel." It was a cheap shot, trying to associate a pro-Israel position with violent extremism. @Daniel - A few years back when there were a rash of abortion clinic bombings and the killing of doctors, not to mention the killing of Dr. Tiller, this same pattern of blaming conservatives, namely pro-lifers, took place. I heard a commentator on NPR say that "Anti-abortionists were quick to distance themselves from the violence perpetrated by the shooters, however..." She went on to interview several people who talked about how the rhetoric of anti-choice people contributes to this atmosphere of hate and violence. Unfortunately the doctors who have been killed were elevated to the status of martyrs - dying so that they could perform an important service for women. Another comment I'd like to make is that recently I read that Hitler's National Socialist party was actually a left wing party and not right at all. I don't know if that's accurate nor do I remember where I read it (on SK perhaps?). I don't know if that has anything to do with anything at all, but I thought I'd throw it out there. If it's true (and I guess I should take the time to research it a little) it's very interesting. Have a great day everybody and try to survive another "excessive heat warning" day. Roughly speaking, there's the old far right and the right. The far right is rooted in Nazi and ex-Nazis. These range from armed Neo-Nazi groups to far right parties that are not violent, but certainly anti-semitic and isolationist. Then you've got a right which is skeptical of the EU, opposed to Muslim immigration, but devoid of Nazi sympathies and anti-semitism. The two are not always that easy to tell apart. Consider the shift happening between the Le Pens in France. The Nazis were not a left wing party, but they did borrow and incorporate left wing ideas. But there was no ideological consistency. The Nazis took everything and threw it into a pot. Capitalism and Socialism, Darwinism, Paganism and Christianity, and cooked up something that made no sense on any kind of examination. They drew much of their support from the right, and that was their power base, so it would be inaccurate to call them a left wing movement. On a round earth if you go right far enough you become left and vice versa. The Nazis also admired Islam -- even Hitler himself. I've read a private conversation in which Hitler expressed his disdain for Christianity and admiration for Islam, maybe this would explain why he granted a private audience to the Grand Mufti, a religious figure of some prominence with Mid-East Muslims. That's very interesting Daniel. Thank you. An excellent article, and one that I eagerly shared, for we all needed to hear those strong words, during this unfair attack on all who oppose the enemies of freedom. Sultan, I mean Europeans are all the same. the same as they have ever been. there is not much differnce between them. call them rightist or Leftist. They have this deep desire for bloodshed and promoting hatred and colonizing other nations. both groups can change whom they side with at any moment but they still hate Jews and Moslems. sometimes they use Moslems for spreading their hatred, so they are friendly with them temporarity, but they can't use Jews for killing and hating others so they will never be good to Jews, even when they dont' show it.Its a strange culture that can't be changed. Anna NY mouse - that is just rubbish! Anyone who can talk about a 'european culture' or mindset common to all the many different peoples of an entire subcontinent is frankly entirely ignorant. And this little gem is not just wrong, but deeply offensive. "They have this deep desire for bloodshed and promoting hatred and colonizing other nations." Like it or not, and however imperfectly it was worked out, the Balfour Declaration was a British initiative. Britain also unilaterally dismantled its empire 70 years ago, although many nations wish to this day the Brits were still in charge. And it was Britain, together with their colonial allies who held back Hilter's tyranny and antisemitism in Europe while America was deciding if they fancied the fight, and working out how to make Britain pay for it. It took 50 years to pay the US off for their 'assistance' and nearly bankrupted us, while Germany and Japan were economically rebuilt through the Marshall plan. Europe is currently under the shadow of the Muslim world due to oil, as is the rest of the West, and this is at the root of the current wave of anti-semitism. There are always political opportunists on both sides willing to exploit such moves for their own advantage. But to claim the whole of Europe is fundamentally and irredeemably anti-Jewish is promoting hatred on a grand scale. I think you need to examine your own prejudices before thinking you can diagnose other peoples'. And Daniel, thanks for yet another sensationally good article! Excellent. I think you've really moved the ball down field here. I like this: "Your self-doubt is the product of a carefully orchestrated media campaign. Its goal is to silence you and then enlist you into a campaign to silence others. It will use your human emotions against you. It will exploit your morality and your sense of responsibility, your grief and your shock, to take away your rights and turn you into a foot soldier in their cause... if you let it." A huge portion of the Left's success has come from this simple fact: Their enemies (i.e., normal people innocently going about their business) typically have consciences; Leftists, by contrast, because they have completely cauterized them in their lust for power, do not. #5. "- ...warn family....., and because of.... safety,... go into hiding,.. and never use the alias «Fjordman» again."